AlphaNinja - Cisco and Travelers were added to the index Monday the 8th. 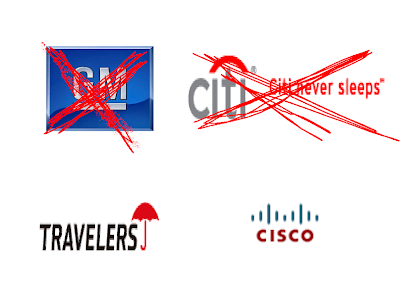 Booting out Citi and GM. 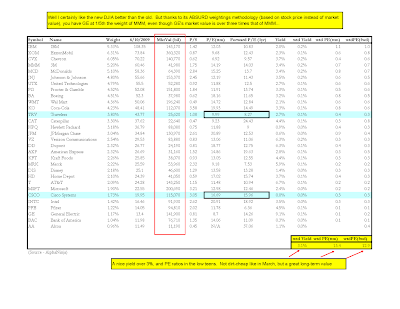 There may be a pullback after runs off the March lows, but the index is definitely not expensive, especially as the earnings estimates used to compute the average's weighted PE (price-t0-earnings) ratio are severely depressed in most cases, and "trough" earnings for others.